Even we sometimes fail to nurture such a close bond- Thanks to the friendship of Cookie and Stitch for giving us new friendship goals. One who has lost a companion in the form of a pet animal knows the kind of pain one has to bear. Something similar happened with Cookie - a dog who lost his best friend Stitch due to old age. 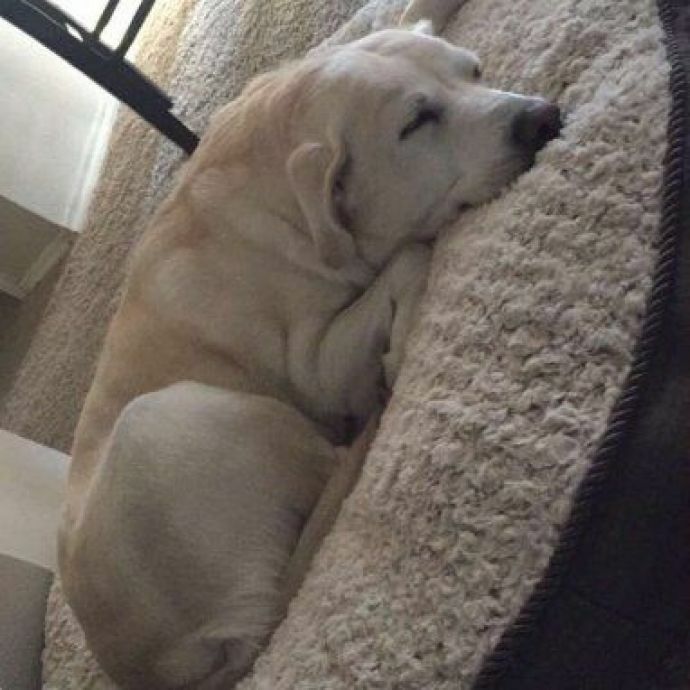 Easton Dufur- the owner of the pet dogs was mourning the loss of his 13-year-old pet, but what touched our heart was the pain of Cookie - who lost his best friend forever. Being a few years younger to Stitch, the two had been close since Dufur first got him while just a kindergartener. They loved each other very much. Cookie would always egg him on so he would play with her and they would take care of one another. Stitch and Cookie were so close to each other that the owner never had to bother about the squabble of feeding both from the same dog dish. Stitch, in his own way, had trained Cookie to eat only her half of the food provided, leaving the other half for him. 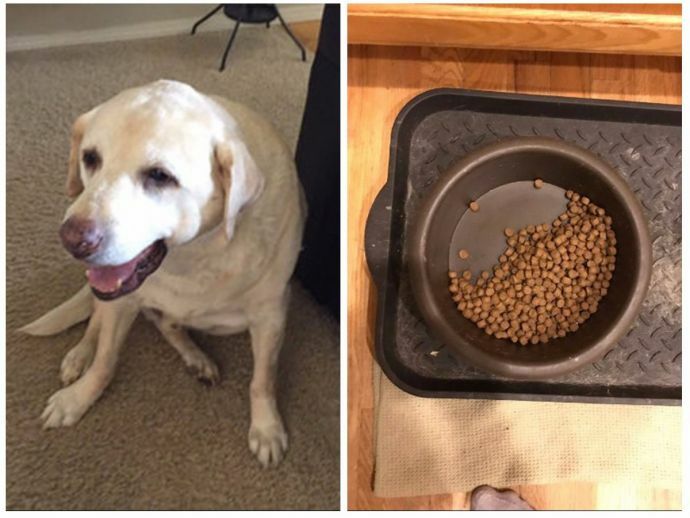 Sadly after the death of older dog, their time together has come to an end — but their special bond is clearly not broken. This is Cookie’s first time alone, so since Stitch is gone, I’ve been feeding Cookie less food. Well before I went to bed, I wanted to check to see if she ate. 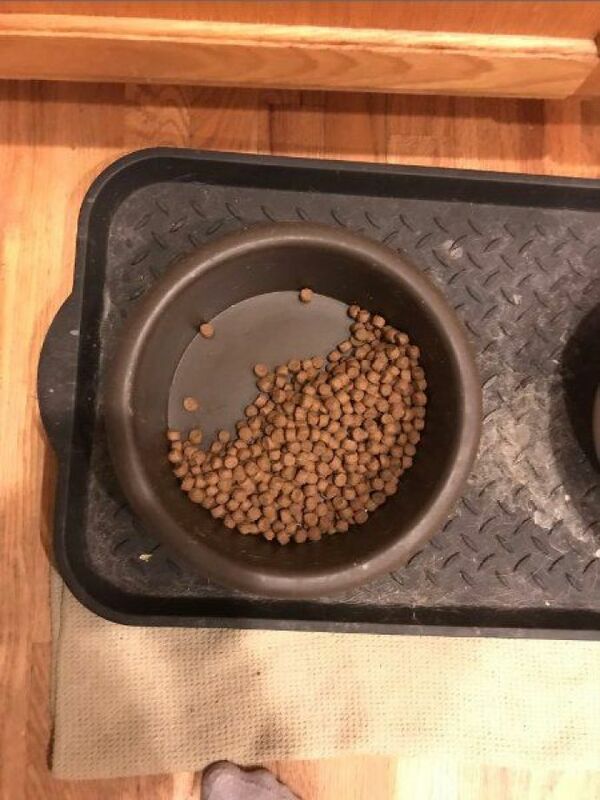 And so I did, and she still left half of her food there so Stitch can eat. Brb, something's hurting both our eyes.